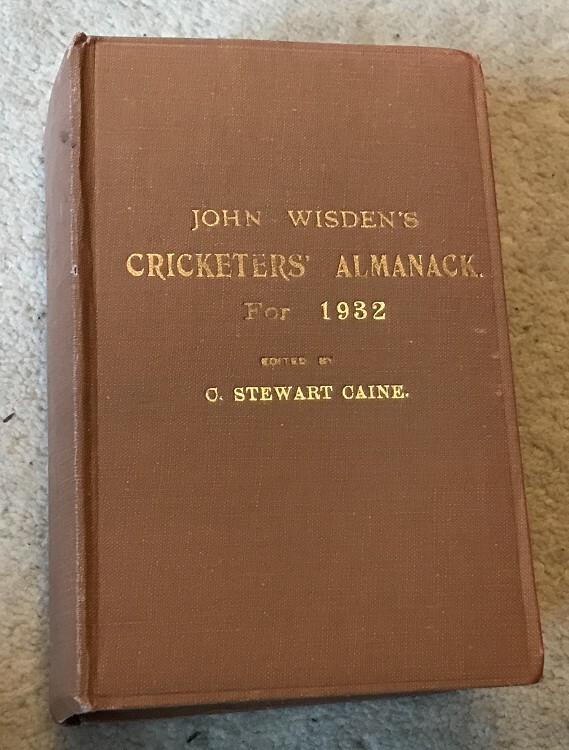 This is a rebound 1932 Wisden , it is rebound in the Publishers Rebind Style with covers bound within. This Wisden is in Good condition. The boards are nice and clean but the front cover has some staining, the pages between the covers are very nice and clean with excellent photoplate and in the collectable "publishers rebind" style. Please see the large pictures, more available on request. P&P : £4.90 and will send it via first recorded delivery. Payment : Card, Cheque or Paypal please.